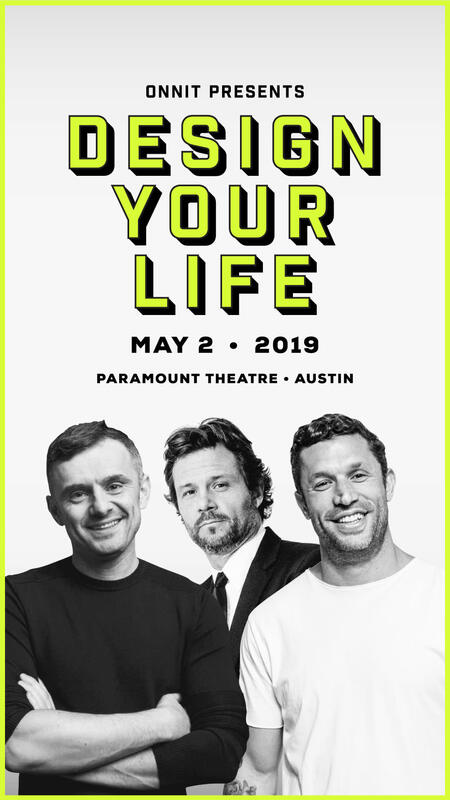 Join Onnit for an unforgettable multi-day experience at the Design Your Life event on May 2nd and 3rd in Austin, Texas. Discover your best self, learn new ways to achieve a healthier lifestyle and develop the latest tools to design your life around our most coveted and meaningful return on investment – happiness! 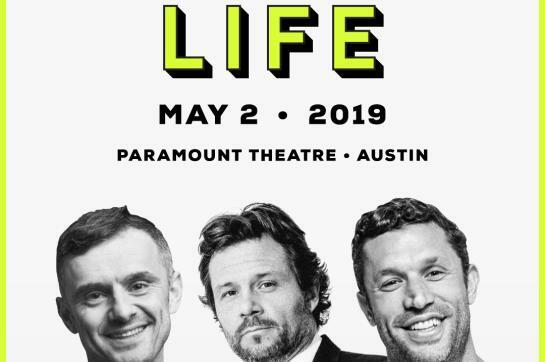 Inspired by and featuring acclaimed influencers Gary Vaynerchuk (CEO of VaynerX) and Aubrey Marcus (Founder and CEO of Onnit), hear each of their extraordinary life stories and the hacks they use on a daily basis for greater health, wellness, personal fulfillment and entrepreneurship. Then learn from Ziva founder, Emily Fletcher, on how meditation for high performance can dramatically improve your well-being. Get the tips and tricks for practicing daily mindfulness to reduce stress, strengthen your relationships and position yourself for long-term personal and professional success. Finally, you will have the chance to hear poetry from one of Oprah’s SuperSoul 100 thought leaders, and multi-platinum songwriter, IN-Q. His poetry is known to be a reflection of his life experiences which has earned him the title of National Poetry Slam champion, and his Youtube videos have received recognition with over 50 million views. In just two days, acquire all the tools you’ll need to design your best life. The event kicks off at 7pm on Thursday, May 2nd at the Paramount Theater and will continue with all-day workshops, break-outs and panel discussions at Springdale Station in East Austin on Friday May 3rd. Don’t miss this rare opportunity to achieve a happier, more fulfilled and elegantly-designed life. Tickets are on sale now!